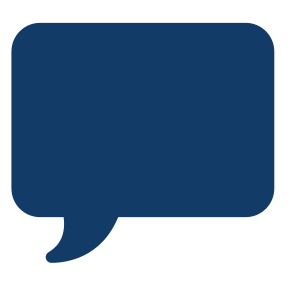 ANSI, The American National Standards Institute, is an orginization created to govern the minimum standards in regard to safety. 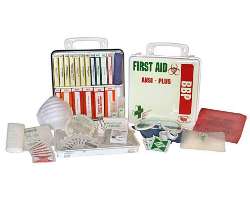 The ANSI sets minimum standards for first aid kits and to be compliant a first aid kit must contain the minimum amount of supplies that adhere to ISEA / ANSI Z308.1-200. ANSI is not mandatory but does help regulate quantities in conjunction with the OSHA requirements that require certain supplies but say nothing as to the volume of the fill. ANSI is not mandatory, however, it has been adopted by several governing boards and many states within the US. ANSI Z308.1-2009 also stadardizes thecolors on unitized refills. All the items in ASNI kit will have a standard color. Standardization can make it easy to find a product quickly in an emergency. There are a few things to consider when purchasing a OSHA first aid kit. 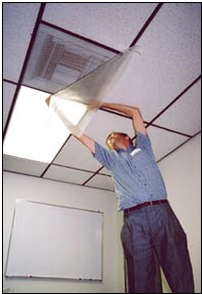 OSHA & Bulk First Aid kits are used to service a specific number of people in an office or workplace setting. 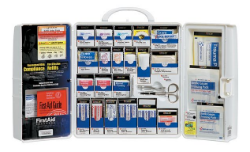 OSHA First Aid Kits are available in many OSHA compliant formats, metal cases, plastic cases and with or without a gasketed closure. 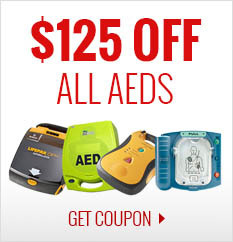 Our OSHA & ASNI are designed to meet specific OSHA Standards for First Aid Kits.